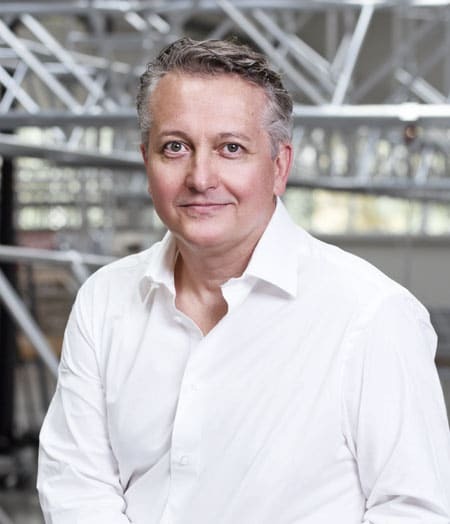 Milos, one of the largest truss manufacturers in Europe, has launched a new series of trusses made of special, ultra high strength steel alloys. With their load bearing capacity up to 2.7 times higher than aluminum traverses with similar dimensions, Milos Steel Trusses are particularly suitable for demanding projects and extreme loads. The company, which is based in the UK and America, is part of the world’s largest aluminium trussing and staging manufacturer, the Area Four Industries Group. In our interview, Fabio Prada, Sales and Marketing Director Area Four Industries, explains the upcoming challenges for the industry and the group. 1. What is particularly valuable about your products? The true value we offer customers is not only the quality and safety of the products each of our four truss brands offers, but also the breadth and depth of their combined product portfolios. Each brand has its own construction philosophy for the range of products it manufactures and a wealth of experience that it provides to its customers. This gives our customers an extremely wide choice of products and access to a deep well of experience that is unequalled in the truss industry. But in today’s market, manufacturing companies must offer much more than just their products. Customers need top levels of service that goes hand in hand with their product offerings. All of our brands are leaders in offering assistance and technical support before, during and after the sale. 2. Developing new products often faces unexpected challenges. What have been the biggest hurdles for your company so far? The majority of unexpected challenges we face are the ones we receive each day from our customers. These customer requests serve as the impetus for new product development and point us in the direction we need to go. Due to the modularity of our truss, our customers are constantly requesting different shapes, sizes and functions. When designing custom structures, it’s important to calculate wind pressure since this factor is often underestimated. We’ve also noticed the trend of customers wanting lighter duty structures to support heavier and heavier loads. Part of our service to customers is to provide guidance on what is feasible and safe when considering all factors for the safe use of our structures. We can also say that development of any new product is always a challenge, especially these days, when all manufacturers are faced with increasingly restrictive and stringent safety regulations. The soon to be implemented norms are additional hurdles we must overcome. Taken together, these factors make it more difficult to bring new products to market and require intensive research and development. Thankfully, we have very talented teams at each of our brands that successfully meet these challenges every day. 3. What upcoming challenges does the industry expect? How will you master those? Once again, the increasingly restrictive safety factors and norms will continue to put pressure on manufacturers to bring products to market that meet these changing standards. In the end, the ability of manufacturers to remain compliant and competitive will depend on the people and teams they have in place. As time marches on, we will continue to equip our brands with staff that can tackle these challenges. 4. 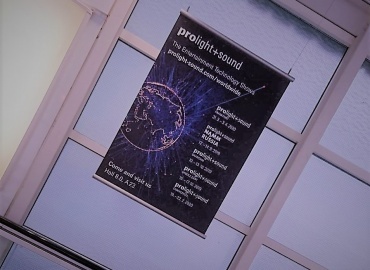 Finally, what is the significance of Prolight + Sound as a trade fair for event technology for your company? Prolight + Sound is an important event for us each year since we can reach an audience in four days that would normally take us six months to contact. 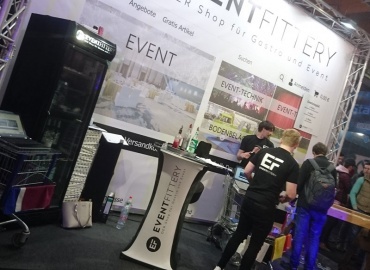 The exhibition also provides potential customers a very convenient way of seeing and touching our products, as well as speaking with our sales team. We plan on continuing our participation at Prolight + Sound as long as booth space and related services remain cost effective. Area Four Industries is the world's largest aluminium trussing and staging manufacturer that combines eight different brands in one company. As a think-tank and dynamic company, the Group is committed to improving event technology and its security practices by using continuous optimization and training programs in partnership with leading industry experts. The company group emerged from its three brands, Milos Structural Systems, Litec and Tomcat, in 2012 and unites the different construction and design competences, the experience, the knowledge and the production capacities. In 2014 James Thomas Engineering was added. The merger of these four brands and their four truss accessory brandsresulted in an optimized and redefined structure that enables Area Four Industries to provide its customers with access to the world's largest range of trusses, supporting structures, peripheral products, and related services. Perfect sound for every occasion!